Members of The Church of Jesus Christ of Latter-day Saints, also known as Mormons, believe in Jesus Christ’s promise that “where two or three are gathered together in my name, there am I in the midst of them” (Matthew 18:20). Twice a year, Mormons gather together at a worldwide general conference to hear the words of living prophets (inspired leaders), worship Jesus Christ, and learn and grow together. For Mormons, general conference is a time to gather together to listen to God’s servants. What is Mormon General Conference? Mormon General Conference is held biannually in April and October. The first general conference of The Church of Jesus Christ of Latter-day Saints was held in June 1830, shortly after the Church was organized, with less than 30 baptized members (see Ryan Morgenegg, “A Brief History of General Conference,” Church News, Oct. 3, 2014). Today, general conference is held in the Conference Center in Salt Lake City, which can hold more than 21,000 people. Free tickets are distributed to the Conference Center, but millions more Church members and interested nonmembers listen to and watch conference via the internet, television, satellite, and radio. Mormon general conference is broadcast in about 90 languages and translated into additional languages after the conference (see “General Conference,” mormonnewsroom.org). During general conference, Mormon leaders—including the President of the Church and his counselors, members of the Quorum of the Twelve Apostles, and the leaders of the Church’s auxiliary organizations—speak during several conference sessions held over the course of a weekend. The Mormon Tabernacle Choir and choirs composed of local Church members also sing. 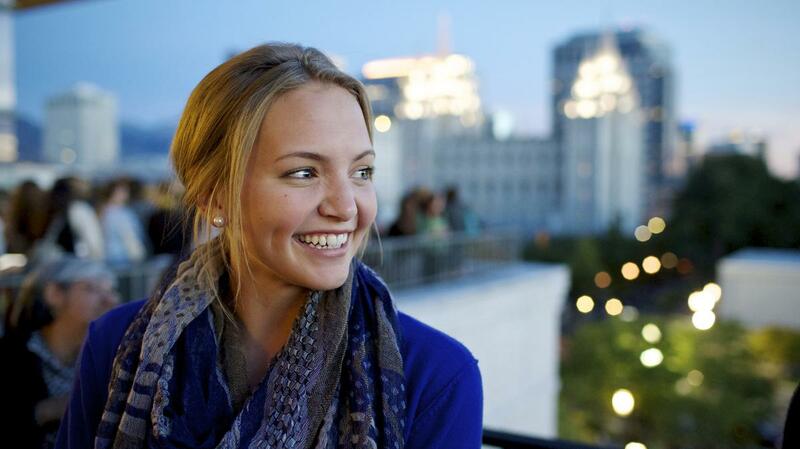 What do speakers talk about at Mormon general conference? Speakers at general conference address a variety of religious topics. Speakers’ topics are not assigned, but are chosen by individual speakers based on the guidance of the Holy Spirit (see “Preparing for General Conference,” lds.org/prophets-and-apostles/unto-all-the-world/preparing-for-general-conference). Examples of topics discussed at general conference include Jesus Christ’s power to heal us, the importance of prayer, the blessings of Christian love and service, God’s plan for His children, God’s love, the importance of obeying God’s commandments, the importance of missionary work, and the blessings of the Book of Mormon (see “General Conference,” lds.org/general-conference). After general conference, the speakers’ talks are published in Church magazines and online at LDS.org. At general conference, Church leaders also conduct Church business, present important statistics and reports about Church growth, and submit the names of Church leaders to the Church’s general membership for a sustaining or opposing vote (see Doctrine and Covenants Student Manual, 2nd ed. [Church Educational System manual, 2001], 90). Mormons believe that the opportunity to listen to living prophets at general conference brings many blessings. They are grateful for a loving Heavenly Father who has sent His servants to teach about His Son, Jesus Christ. To learn more about our Heavenly Father and His living prophets on the earth today, visit mormon.org.